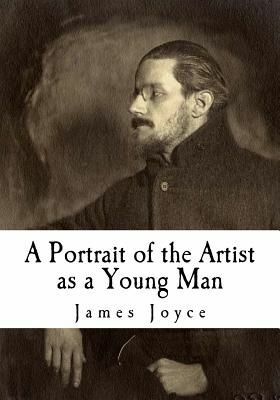 A Portrait of the Artist as a Young Man is the first novel of Irish writer James Joyce. A Kunstlerroman in a modernist style, it traces the religious and intellectual awakening of young Stephen Dedalus, a fictional alter ego of Joyce and an allusion to Daedalus, the consummate craftsman of Greek mythology. Stephen questions and rebels against the Catholic and Irish conventions under which he has grown, culminating in his self-exile from Ireland to Europe. The work uses techniques that Joyce developed more fully in Ulysses (1922) and Finnegans Wake (1939). A Portrait began life in 1903 as Stephen Hero-a projected 63-chapter autobiographical novel in a realistic style. After 25 chapters, Joyce abandoned Stephen Hero in 1907 and set to reworking its themes and protagonist into a condensed five-chapter novel, dispensing with strict realism and making extensive use of free indirect speech that allows the reader to peer into Stephen's developing consciousness. American modernist poet Ezra Pound had the novel serialised in the English literary magazine The Egoist in 1914 and 1915, and published as a book in 1916 by B. W. Huebsch of New York. The publication of A Portrait and the short story collection Dubliners (1914) earned Joyce a place at the forefront of literary modernism.